The Taxation Laws (Second Amendment) Bill, 2016, passed by Lok Sabha on 29.11.2016, interalia seeks to introduce the, ‘Taxation and Investment Regime for Pradhan Mantri Garib Kalyan Yojana, 2016 (the Scheme)’. A declarant under the Scheme shall be required to pay tax @ 30% of undisclosed income, surcharge @ 33% of tax and penalty @ 10% of undisclosed income. The declarant shall also be required to deposit an amount, which shall not be less than twenty-five per cent of the undisclosed income in, the ‘ Pradhan Mantri Garib Kalyan Deposit Scheme, 2016’. Such deposit shall carry no interest and have a locking period of four years. The Scheme does not provide any immunity to the declarant in respect of detention made under Conservation of Foreign Exchange and Prevention of Smuggling Activities Act, 1974, offence punishable under Chapter IX or Chapter XVII of the Indian Penal Code, the Narcotic Drugs and Psychotropic Substances Act, 1985, the Unlawful Activities (Prevention) Act, 1967, the Prevention of Corruption Act, 1988, the Prohibition of Benami Property Transactions Act, 1988, the Prevention of Money-Laundering Act, 2002, the Special Court Act, 1992, and the Black Money (Undisclosed Foreign Income and Assets) and Imposition of Tax Act, 2015. A declaration in respect of any income, in the form of cash or deposit in an account maintained by the person with a specified entity, chargeable to tax under the Income-tax Act for any assessment year commencing on or before the 1st day of April, 2017, can be made under the Scheme. Taxation Laws (Second Amendment) Act, 2016 came into force yesterday i.e. 15th December, 2016 and rules notified today and placed in public domain; The Taxation and Investment Regime for Pradhan Mantri Garib Kalyan Yojana, 2016 introduced under the said Act to commence from tomorrow i.e.17th December, 2016 and to remain open for declarations up to 31st March, 2017. The Taxation Laws (Second Amendment) Act, 2016 has come into force on 15th December, 2016. The Taxation and Investment Regime for Pradhan Mantri Garib Kalyan Yojana, 2016 (the Scheme) introduced vide the said Act shall commence on 17th December, 2016 and shall remain open for declarations up to 31st March, 2017. The rules in this regard have been notified vide Notification No.116 dated 16th December, 2016 and have been placed in public domain. A separate notification has been issued for Pradhan Mantri Garib Kalyan Deposit Scheme, 2016 by Department of Economic Affairs. (i) Declaration under the Scheme can be made by any person in respect of undisclosed income in the form of cash or deposits in an account with bank or post office or specified entity. (ii) Tax @30% of the undisclosed income, surcharge @33% of tax and penalty @10% of such income is payable besides mandatory deposit of 25% of the undisclosed income in Pradhan Mantri Garib Kalyan Deposit Scheme, 2016. The deposits are interest free and have a lock-in period of four years. (iii) The income declared under the Scheme shall not be included in the total income of the declarant under the Income-tax Act for any assessment year. (iv) The declarations made under the Scheme shall not be admissible as evidence under any Act (eg. Central Excise Act, Wealth-tax Act, Companies Act etc.). However, no immunity will be available under Criminal Acts mentioned in section 199-O of the Scheme. Non declaration of undisclosed cash or deposit in accounts under the Scheme will render such undisclosed income liable to tax, surcharge and cess totaling to 77.25% of such income, if declared in the return of income. In case the same is not shown in the return of income a further penalty @10% of tax shall also be levied followed by prosecution. It may be noted that the provisions for levy of penalty for misreporting of income @200% of tax payable under section 270A of the Income-tax Act have not been amended and shall continue to apply with respect to cases falling under the said section. The Taxation Laws (Second Amendment) Act, 2016 has also amended the penalty provisions in respect of search and seizure cases. The existing slab for penalty of 10%, 20% & 60% of income levied under section 271AAB has been rationalised to 30% of income, if the income is admitted and taxes are paid. Otherwise a penalty @60% of income shall be levied. The Scheme, Rules and Notifications are available on the official website of the Department www.incometaxindia.gov.in . Any queries/clarifications relating to the Scheme may be emailed at ts.mapwal@nic.in . The overall economic growth of the Indian economy is dependent on many factors that, inter-alia, include the rate of capital formation and savings, utilization of technology, availability of infrastructure, efficiency of resource allocation, quality of institutions, governance and the policy framework in place, money supply and degree of financial development. Further, the situation after the cancellation of legal tender character of old denomination banknotes is being regularly monitored in the Government. Diplomatic Missions have written to convey their appreciation for the Government''s recent effort to make our economy more transparent and as a move that will also have a positive impact on FDI. Reserve Bank of India (RBI) and the Banks have been advised to step up the supply of cash to the public. The availability of cash and issuance of cash to bank branches and Post Offices on a daily basis is being constantly monitored and necessary rebalancing is being done for more efficient allocation of banknotes of requisite denominations between different areas. Further, on the basis of feedback/suggestions received from various quarters, Government has taken various steps to ameliorate the inconvenience caused to the public, the information regarding which is available at finmin.nic.in. About Rs. 370 crores of cash and jewellery has been seized by the Income Tax Department since the cancellation of legal tender character of old high denomination banknotes. The total undisclosed income admitted before the Department is more than Rs. 2500 cores. Close coordination is being maintained with other enforcement agencies for action against the offenders as an on-going process which includes searches, surveys, enquiries, tax assessment, levy of penalties and filing of prosecution complaints in criminal courts, wherever applicable. i. Income of MLM / Chain Marketing/ Pyramid structure schemes that promise easy or quick money upon enrolment of members, primarily comes from enrolling more members with hefty subscription fees rather than any actual sale of products on offer. ii. If the chain of enrolling new members breaks, then the whole scheme collapses with members lower down the pyramid suffering the most. iii. Public was advised that it is in their own interests to avoid falling prey to any such offers of high and quick returns and that people should refrain from responding to such offers in any manner. iv. Acceptance of money under Money Circulation / MLM / Pyramid structures is a cognizable offence under the Prize Chit and Money Circulation (Banning) Act, 1978 and that members of public coming across such offers should immediately lodge a complaint with the State Police. RBI has indicated that they do not have any specific information in the matter. However, Government has issued Advisory to the State / UT Governments in the form of Model Framework on Guidelines for Direct Selling Entities dated 09.09.2016. Subsequently, a Gazette Notification dated 26.10.2016 has also been issued in this regard. These guidelines are guiding principles for State Governments to consider regulating the business of “Direct Selling” / MLM and strengthen the existing regulatory mechanism on Direct Selling and MLM, for preventing fraud and protecting the legitimate rights and interests of consumers. (i) Treatment of revaluation reserves:- Revaluation reserves arising out of change in the carrying amount of a bank’s property consequent upon its revaluation may, at the discretion of banks, be reckoned as CET1 capital at a discount of 55%, instead of as Tier 2 capital under extant regulations, subject to meeting some conditions mentioned in above instructions. (ii) Treatment of Foreign Currency Translation Reserve (FCTR):- Banks may, at their discretion, reckon foreign currency translation reserve arising due to translation of financial statements of their foreign operations in terms of Accounting Standard (AS) 11 as CET1 capital at a discount of 25% subject to meeting some conditions mentioned in above instructions. · Deferred Tax Assets (DTAs) associated with accumulated losses and other such assets should be deducted in full from CET1 capital. · DTAs which relate to timing differences (other than those related to accumulated losses) may, instead of full deduction from CET1 capital, be recognised in the CET1 capital up to 10% of a bank’s CET1 capital, at the discretion of banks. (iv) The amount of DTAs which is not deducted from CET1 capital will be risk weighted at 250% as in the case of significant investments in common shares not deducted from bank’s CET1 capital. • Banks may deposit SBNs directly with the offices of RBI under whose jurisdiction they are located. These SBNs will remain, in the vaults of RBI, under the lock and key of the depositing banks till taken up for examination. • For the SBNs deposited by banks, RBI will afford credit to their current accounts maintained with RBI. Thereafter, if any shortage, counterfeit note, mutilated note, etc. is detected during detailed processing at RBI, the value of the same will be recovered from the bank concerned. • This facility will be extended to all banks and be available at all our Issue Offices. • To avail the facility banks need to enter into an agreement with Regional Offices of RBI concerned. A similar Scheme has been introduced for depositing SBNs with designated currency chest at the district level vide RBI circular dated November 27, 2016. The above Schemes, can be availed by Banks, preferably those not having any currency chest and Post Offices, if they are maintaining current account with RBI or the chest branch managing Chest Guarantee Vault at district level. Further with a view to expand the ambit of the scheme, it has been decided (RBI Circular dated November 28, 2016) that banks operating currency chests may be allowed to operate Chest Guarantee Scheme for Specified banknotes (CGSS) if they have additional space in their existing currency chest or additional storage space at the same centre which is nearly as safe and secure as that of a currency chest. Reserve Bank of India (RBI) has taken several measures to absorb the excess liquidity in the banks post demonetisation. It has introduced incremental CRR of 100% on deposits collected between September 16 and November 11,2016 effective from the fortnight beginning November 26. Subsequently, RBI has reviewed the situation and withdrawn the incremental CRR effective from 10th December, 2016. Secondly, it increased the market stabilisation Scheme limit to ? 6 lakh crore from earlier limit of ? 30,000 crore with a view to mop up additional liquidity from the system effective from 2nd December, 2016. For regular liquidity management repo and reverse repo both fixed and variable ones are used by RBI. While adequate liquidity is essential for meeting the needs of the productive sectors, there is not a direct link between excess liquidity and lending rates. Lending rates are determined by quite a lot of factors, of which liquidity is one. RBI vide its guidelines on Interest Rate on Advances dated 17th December 2015 followed by Master Direction dated 29th March 2016 on Interest Rate on Advances, have directed all Scheduled Commercial Banks to calculate Base Rates using the Marginal Cost of Funds. The Government and RBI do not interfere in fixing the interest rate on loans. Presently, each bank fix the Marginal Cost Lending Rate (MCLR) based on RBI guidelines and varies from bank to bank. Government has taken various steps to provide easy access of credit and encourage women SHGs. These include, inter alia, Women SHGs Development Fund being operated by National Bank for Agriculture and Rural Development (NABARD) in 150 most backward districts, Interest Subvention under the Deendayal Antyodaya Yojana – National Rural Livelihoods Mission (DAY – NRLM) to NRLM SHGs on credit for a maximum of Rs 3 lakh per SHG, Grant and other support to NGOs and other Self Help Promoting Institutions for promotion and nurturing of SHGs formed by poor women in rural areas, etc. RBI vide its guidelines on Interest Rate on Advances dated 17th December 2015 followed by Master Direction dated 29th March 2016 on Interest Rate on Advances, have directed all Scheduled Commercial Banks to calculate Base Rates using the Marginal Cost of Funds. The Government and RBI do not interfere in fixing the interest rate on loans. Presently, each bank fix the Marginal Cost Lending Rate (MCLR) based on RBI guidelines and varies from bank to bank. Start-up India is a flagship initiative of the Government of India, intended to build a strong eco-system for nurturing innovation and Start-ups in the country. For providing fund support for Start-ups, a ''fund of funds'' of INR 10,000 crores to support innovation driven Start-ups has been established which shall be managed by Small Industries Development Bank of India (SIDBI). The fund will invest in Securities and Exchange Board of India (SEBI) registered Alternative Investment Funds (AIFs) which, in turn, will invest in Start-ups. It will act as an enabler to attract private capital in the form of equity, quasi equity, soft loans and other risk capital for Start-ups. Rs. 500 crore has been released to SIDBI in FY2015-16 and Rs. 600 crore in FY2016-17. Further, a new trading platform called the “Institutional Trading Platform (ITP)” with simplified framework has been introduced on August 14, 2015 by SEBI making it easier for companies, including the Start-ups, to get listed either pursuant to a public issue or otherwise. In case of public offer on ITP, the minimum application size shall be Rs. 10 lakh and the minimum trading lot shall be of Rs. 10 lakh. Thus the retail investors cannot buy or sell shares of the companies listed on ITP. No company has been listed on the ITP so far. The Government of India has issued the Companies (Share Capital and Debentures) Rules, 2014, which lays down the procedure for issuance of shares and debentures, disclosures, filing requirements and other compliances under the Companies Act, 2013. These provisions are applicable to all companies including start-ups and seek to ensure that companies raise monies in a transparent and accountable manner. The modification in the Rules made under this provision for start-ups do not compromise on the basic premise of due disclosures, accountability and protection of interest of investors including minority investors. The Start-up India Program is reviewed every month by a Monitoring Committee consisting of representatives from Department of Industrial Policy and Promotion (DIPP), NITI Aayog, Department of Revenue (Ministry of Finance), Ministry of Micro, Small and Medium Enterprises, Department of Science and Technology (Ministry of Science and Technology), Department of Electronics and Information Technology (Ministry of Communication and Information Technology), Department of Higher Education (Ministry of Human Resource Development) and SIDBI. Decisions taken by the Monitoring Committee are regularly followed up with various stakeholder departments/ organizations for implementation. Government sets up fund namely Short Term Cooperative Rural Credit (Refinance) Fund in NABARD that aims at providing concessional short term refinance to Cooperative Banks. Government has set up a fund namely Short Term Cooperative Rural Credit (Refinance) Fund in National Bank for Agriculture & Rural Development (NABARD) for providing concessional short term refinance to Cooperative Banks. The said fund is made available to NABARD from out of the shortfall in priority sector lending targets by commercial banks. An amount of Rs.45,000 crore has been allocated for Short Term Cooperative Rural Credit (Refinance) Fund during 2016-17. NABARD has reported that out of the allocation for the current financial year, an amount of Rs. 24,000 crore has already been disbursed by NABARD till 30 September 2016. NABARD has further reported that it is authorized to disburse the balance loan of Rs. 21,000.00 crore in the form of concessional refinance to State Cooperative Banks on behalf of District Central Cooperative Banks (DCCBs) in order to enable them to meet the crop loan requirements of farmers. i. The upper limit for number of angel investors in a scheme is increased from forty nine (49) to two hundred (200). ii. The definition of start-up for Angel Fund investments is now aligned with the definition of DIPP as given in their start-up policy. iii. The requirements of minimum investment amount by an Angel Fund in any venture capital undertaking is reduced from fifty lakhs to twenty five lakhs. iv. The lock-in requirement of investment made by Angel Funds in the venture capital undertaking is reduced from three years to one year. v. Angel Funds are allowed to invest in overseas venture capital undertakings upto 25% of their investible corpus in line with other AIFs. Reserve Bank of India (RBI) vide its notification dated October 20, 2016 has allowed any registered Foreign Venture Capital Investor (FVCI) to invest in equity or equity linked instrument or debt instrument issued by an Indian ‘start-up’ irrespective of the sector in which the start-up is engaged. The start-ups so eligible will be incorporated or registered in India not prior to five years, with an annual turnover not exceeding INR 25 crores in any preceding financial year, working towards innovation, development, deployment or commercialization of new products, processes or services driven by technology or intellectual property etc. On 24.10.2016, RBI amended FEMA to permit FPIs to invest in unlisted non-convertible debentures/bonds and securitised debt instruments. Further, RBI vide its circular dated 17.11.2016 has allowed SEBI registered Foreign Portfolio Investments (FPIs) to invest in unlisted corporate bonds subject to certain end use restrictions in real estate business, capital market and purchase of land and securitized debt instruments. i. Unlisted corporate debt securities in the form of non-convertible debentures/bonds issued by an Indian company subject to the guidelines issued by the Ministry of Corporate Affairs from time to time. ii. ii. Securitised debt instruments, including (a) any certificate or instrument issued by a special purpose vehicle (SPV) set up for securitisation of assets with banks, Financial Institutions (FIs) or Non-bank financial companies (NBFCs) as originators; and/or (b) any certificate or instrument issued and listed in terms of the SEBI (Public Offer and Listing of Securitised Debt Instruments) Regulations, 2008. Reduction in import duty on wheat from 25% to 10% with effect from 23.09.2016 for a period upto 28.02.2017 [notification No.51/2016-Customs, dated 23.09.2016] which was subsequently further reduced to Nil with effect from 08.12.2016 without any end date [notification No.60/2016-Customs, dated 08.12.2016]. Reduction in import duty on potatoes from 30% to 10% with effect from 23.09.2016 for a period upto 31.10.2016 [notification No.51/2016-Customs, dated 23.09.2016]. Reduction in import duty on crude palm oil of edible grade from 12.5% to 7.5%, and on refined palm oil of edible grade from 20% to 15% [notification No.51/2016-Customs, dated 23.09.2016]. The Union Government’s Finance and Appropriation Accounts for 2015-16 along with the Audit report of the Comptroller & Auditor General of India were presented in Parliament today. This is the third time since Independence and the second consecutive time since last year that the Annual Accounts of the Union Government have been tabled in Parliament in the same calendar year. The Appropriation Accounts for 2015-16 present the actual expenditure incurred by Ministries/Departments of the Union Government in relation to the appropriations voted by Parliament in that year. The Finance Accounts 2015-16 on the other hand, contain the Union Government’s Financial Statements, including, the accounts of receipts and expenditure from the Consolidated Fund of India, and balances of Public debt, and other Liabilities and Assets in the Public Account of India. Will enable source based taxation of capital gains on shares, except in respect of investments made prior to 1st April, 2017; Will also bring into effect updated provisions as per international standards and in accordance with the consistent position of India. Both sides have now exchanged notifications intimating the completion of their respective internal procedures for the entry into force of the DTAA, with which the revised DTAA shall come into effect in India in the fiscal year beginning on or after 1st April, 2017. The revised DTAA will enable source based taxation of capital gains on shares, except in respect of investments made prior to 1st April, 2017. In addition, the DTAA will also bring into effect updated provisions as per international standards and in accordance with the consistent position of India. · Persons of eminence with special academic training or practical experience in the fields of agriculture, rural economy banking, cooperation, economics, business management, human resources, finance, corporate law, Risk Management, industry and IT will ordinarily be considered. 20 years of industry experience at a senior position, established expertise in respective areas (successfully led a reputed organization, brought turnaround in a failing organization) would be preferred. · Retired senior Government officials with total experience of 20 years and minimum 10 years of experience at Joint Secretary and above level. Retired CMDs/EDs of Public Sector Banks after one year of retirement. The ex-CMDs/EDs will not be considered for appointment as NoD on the Board of the PSB from which they have retired. Serving CMDs/EDs of a PSB will not be considered for appointment as NoD on the Board of any other PSB. · Academicians Directors of premier Management Banking Institutes and Professors having more than 20 years experience. · Chartered Accountants with 20 years experience (excluding audit experience) would also be preferred. · However, the experience criteria may be relaxed with the approval of the Finance Minister in exceptional cases based on merits of the case. · Wherever possible representation may also be given to women and the persons belonging to SC/ST/OBC community. An NoD should at least be a graduate in any stream preferably with specialization in Business Management, Risk Management, Finance, Human Resources and IT. The age of the Director, on the date of recommendation by Search Committee should not be more than 67 years. Professionals/academicians should ordinarily have 20 years of work experience in their particular field. · A Director already on a Bank/Financial Institution (FIs)/RBI/Insurance Company, under any category, may not be considered for nomination as NoD in any other Bank/FI/RBI/Insurance Company. · Persons connected with hire purchase, financing investment, leasing and other para-banking activities, MPs, MLAs, MLCs and Stock Brokers will not be appointed as non-official directors on the boards of Banks/FIs/RBI/Insurance Companies. Investors in a hire purchase, financing investment, leasing and other para banking activities would not be disqualified for appointment as NOD, if they are not having any managerial control in such companies. 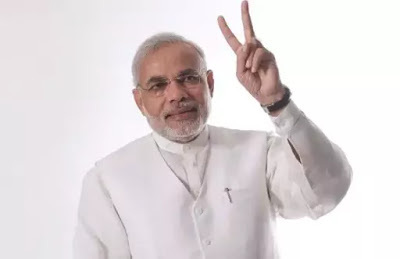 · No person may be re-nominated as an NOD on the Board of a Bank/FI/RBI/Insurance Company on which he/she has served as Director in the past under any category for two terms or six years whichever is longer. An NoD would not be considered for nomination as a Director on the Board of a Bank/FI/RBI/Insurance Company if such Director has already been a NoD/Shareholder Director on the board of any other Bank/FI/RBI/Insurance company for six years, whether continuously or intermittently. Based on above guidelines, Government has appointed 33 NODs on the Board of PSBs, FIs and RBI. Under Pradhan Mantri Jan Dhan Yojana (PMJDY), 25.68 crore accounts have been opened across the country till 23.11.2016. After demonetisation for exchange and withdrawal of Rs. 500 and Rs. 1000 currency Government has advised banks to distribute and activate RuPay cards expeditiously, increase cash holding limit of Bank Mitras, install micro-ATM and Point of Sale (PoS) machines, provide cheque books over the counter, dispensing cash through PoS machines. In addition, Government has advised banks to make special arrangements in camp mode to open bank account for those who do not have bank account and make arrangements for cash withdrawal and deposits in their accounts for plantation, beedi, construction workers and unorganized labourers. Banks staff had worked extra hours to handle the increased volume of work due to demonetisation of bank notes of Rs. 500 and Rs.1000 with effect from November 8, 2016. Whenever complaint against a bank official(s) is received and any irregularities are found or observed on the part of Bank’s official(s), the Banks initiate action as per their extant rules and commensurate punishment is awarded to the delinquent employees based on the seriousness of the wrong doings as per Bank’s disciplinary rules. It came to the notice of RBI that certain depositors are hesitating to deposit their monies into bank accounts in view of the current limits on cash withdrawals from accounts. As it was impeding active circulation of currency notes, it was decided, to allow withdrawals of deposits made in current legal tender notes on or after November 29, 2016 beyond the current limits. · The cash withdrawal limits for individual accounts are not applicable to cash withdrawal from a bank account by one bank from another bank, Post Office, Money changers operating at International airports and operators of White Label ATMs. · Governments Departments have been allowed to draw cash beyond the stipulated limit, in exceptional cases, only on production of evidence justifying their cash requirements in writing, at the discretion of an officer in the rank of General Manager and above. · Farmers have been allowed to draw upto ? 25000/- per week in cash from their loan (including Kisan Credit Card limit) or deposit accounts subject to their accounts being compliant with the extant KYC norms. · Current Account holders, Overdraft and Cash Credit accounts have been allowed to withdraw up to Rs. 50000 in cash, in a week if they have been operational for the last three months or more. The facility is also available to the traders registered with APMC markets/mandis provided that such accounts are compliant with the extant KYC norms and are operational for the last three months or more. · Cash withdrawal to the extent of Rs 2.5 lakhs per account has been permitted on grounds of marriage subject to certain conditions in the interest of genuine cases. Deposits of Specified bank Notes into all types of deposit/loan accounts of banks (except DCCBs) have been allowed subject to CTR/STR reporting. Only Urban Co-operative Banks and State Co-operative Banks have been authorized to accept the deposit/ repayment of loan in old currency notes. · It has been decided that NABARD would be utilizing its own cash credit limits up to about ? 23,000 crore to enable the DCCBs to disburse the required crop loans to PACS and farmers. As many of these loans will be disbursed in cash to facilitate farming related expenses banks with currency chests have been advised that they should ensure adequate cash supply to the DCCBs and RRBs as well as to the rural branches of all commercial banks. · Farmers have been allowed to draw upto Rs. 25000/- per week in cash from their loan (including Kisan Credit Card limit) or deposit accounts. · Specified bank notes in the denomination can be used for making payments towards purchase of seeds from the centres, units or outlets belonging to the Central or State Governments, Public Sector Undertakings, National or State Seeds Corporations, Central or State Agricultural Universities and the Indian Council of Agricultural Research, on production of proof of identity. · Traders registered with APMC markets/mandis have been permitted to draw up to Rs. 50,000/- from their current accounts. · For the poor people, the deposit of SBN and withdrawal of new banknotes have been permitted from basic JDY account. · Banks have been advised to deploy their Micro ATMs (Bala Mitras, etc) near village Panchayat Offices etc. · For providing exchange / deposit/ withdrawal facility to people residing in remote/ unbanked areas, banks have been advised to consider using mobile vans. · Telephone Helpline was set up by Reserve Bank and Frequently Asked Questions (FAQs) were uploaded on RBI website. Reserve Bank of India (RBI) has given approval to banks for providing mobile banking services to its customers. The services can be used by any customer of the bank irrespective of the location. As on November 30, 2016, RBI has given approval to 195 banks for providing Mobile Banking Services to their customers. Further to facilitate mobile banking the process of registration has been made convenient by enabling such feature on ATMs. National Payments Corporation of India (NPCI) has offered the facility of Mobile Banking using Unstructured Supplementary Service Data (USSD) based Mobile Banking. USSD based Mobile Banking offers basic Banking facilities like Money Transfer, Bill Payments, Balance Enquiries, Merchant payments etc. on a simple GSM (Global System for Mobile Communications) based Mobile phone, without the need to download application on a Phone as required at present in the IMPS (Immediate Payment Service) based Mobile Banking. Transactions can be performed on basic phone handsets. The user needs to approach his bank and get his mobile number registered. The bank will issue an MPIN (Mobile PIN) to the user. The user thereafter needs to dial *99# and the menu for using USSD opens. Thereafter customer has to follow selections on the menu to complete the transaction. Public Sector Banks (PSBs) are providing loans in general and also under Prime Minister Mudra Yojana (PMMY) and Stand-Up India Scheme. As on 02.12.2016, PSBs have disbursed loans to SCs/STs and Women to 15099 account-holders with aggregate amount of Rs.1505.98 crore under Stand-up India. Similarly under PMMY, an amount of Rs.132954.73 crore was disbursed in 348.80 lakh accounts during the financial year 2015-16 and during the current financial year (2016-17), an amount of Rs.74240.55 crore has been disbursed in 202.81 lakh accounts upto 02.12.2016. Besides, Pradhan Mantri Jan Dhan Yojana (PMJDY) was launched on 28th August 2014 with the main objective of providing one account per household across the country. Till 07.12.2016, 25.82 crore accounts have been opened under the Yojana across the country. 126512 Business Correspondents (BCs) are engaged by banks in Sub Service Areas (SSAs) to make banking facilities accessible to rural households. BC perform cash in, cash out, fund transfer and balance enquiry with the help of micro ATMs provided to them. I. Displaying indicator boards at all the counters in English, Hindi as well as in the concerned regional language. Business posters at semi-urban and rural branches of banks should also be in the concerned regional languages. II. Providing customers with booklets consisting of all details of service and facilities available at the bank in Hindi, English and the concerned regional languages. III. Use of Hindi and regional languages in transacting business by banks with customers, including communications to customers. IV. In order to ensure that banking facilities percolate to the vast sections of the population, banks should make available all printed material used by retail customers including account opening forms, pay-in-slips, passbooks etc., in trilingual form i.e., English, Hindi and the concerned Regional Language. V. All cheque forms should be printed in Hindi and English. The customer, may however, write cheques in Hindi, English or in the concerned regional language. India ratified Multilateral Convention on Mutual Administrative Assistance in Tax Matters (MAC) in June 2012 and has also signed the Multilateral Competent Authority Agreement on Automatic Exchange of Financial Account Information (MCAA) based on Common Reporting Standards (CRS) on 3rd June, 2015. India and Switzerland signed the ‘Joint Declaration’ for implementation of Automatic Exchange of Information (AEOI) on the 22nd November, 2016. Through this Joint Declaration, both the jurisdictions intend to introduce on a reciprocal basis automatic exchange of financial account information between each other beginning in the year 2018 (first transmission of data in 2019). The Joint Declaration is subject to MAC being in force in each jurisdiction, signing of MCAA by both jurisdictions, notification of each other under section 7(1)(f) of the MCAA and adequate confidentiality and data safeguards in each jurisdiction. India has already signed the MCAA and has under section 7(1)(f) of MCAA conveyed to the Coordinating Body its list of intended exchange partners which includes all the signatories of MCAA. The Government has taken several steps to effectively tackle the issue of black money, particularly black money stashed in other countries. Such measures include policy-level initiatives, more effective enforcement action on the ground, putting in place robust legislative and administrative frameworks, systems and processes with due focus on capacity building and integration of information and its mining through increasing use of information technology. Recent major initiatives in this regard include – (i) Constitution of the Special Investigation Team (SIT) on Black Money under Chairmanship and Vice-Chairmanship of two former Judges of Hon’ble Supreme Court, (ii) Enactment of a comprehensive law –‘The Black Money (Undisclosed Foreign Income and Assets) and Imposition of Tax Act, 2015’ which has come into force w.e.f. 01.07.2015 to specifically and more effectively deal with the issue of black money stashed away abroad, (iii) Constitution of Multi-Agency Group (MAG) consisting of officers of Central Board of Direct Taxes (CBDT), Reserve Bank of India (RBI), Enforcement Directorate (ED) and Financial Intelligence Unit (FIU) for investigation of recent revelations in Panama paper leaks,(iv) Proactively engaging with foreign governments with a view to facilitate and enhance the exchange of information under Double Taxation Avoidance Agreements (DTAAs)/Tax Information Exchange Agreements (TIEAs)/Multilateral Conventions, (v) According high priority to the cases involving black money stashed away abroad for investigation and other follow-up actions including prosecutions in appropriate cases, (vi) While focusing upon non-intrusive measures, due emphasis on enforcement measures in high impact cases with a view to prosecute the offenders at the earliest for credible deterrence against tax evasion/black money, (vii) Proactively furthering global efforts to combat tax evasion/black money, inter alia, by joining the Multilateral Competent Authority Agreement in respect of Automatic Exchange of Information (AEOI) and having information sharing arrangement with USA under its Foreign Account Tax Compliance Act (FATCA), (viii) Renegotiation of DTAAs with other countries to bring the Article on Exchange of Information to International Standards and expanding India’s treaty network by signing new DTAAs and TIEAs with many jurisdictions to facilitate the exchange of information and to bring transparency, (ix) Enabling attachment and confiscation of property equivalent in value held within the country where the property/proceeds of crime is taken or held outside the country by amending the Prevention of Money-laundering Act, 2002 through the Finance Act, 2015, (x) Enactment of the Benami Transactions (Prohibition) Amendment Act, 2016 to amend the Benami Transactions (Prohibition) Act, 1988 with a view to, inter alia, enable confiscation of Benami property and provide for prosecution, (xi) Initiation of the information technology based ‘Project Insight’ by the Income Tax Department for strengthening the non-intrusive information driven approach for improving tax compliance and effective utilization of available information.